Existing interactions between the National Museum, AIATSIS, the ANU and Canberra’s CBD were weak due to physical constraints and a lack of coordination in the Acton Peninsula precinct, National Capital Authority chief executive Malcolm Snow said today, as he joined representatives from those bodies and the ACT Government to unveil a jointly created draft plan to fix the problem. 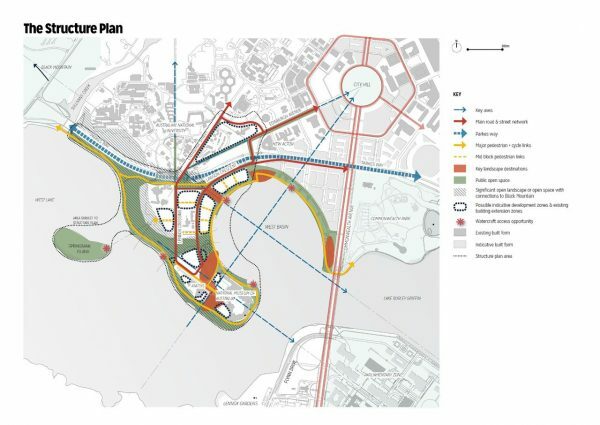 The plan is now available online for public consultation over the next six weeks, providing Canberrans with the final piece in the puzzle to being able to better understand how development in Lake Burley Griffin’s West Basin, including the ACT Government’s City to the Lake project, may interact with its surroundings. Mr Snow said the peninsula’s institutions shared an ambitious aspiration for the precinct and that an appropriate urban design framework was essential to make the most of its assets. “These institutions and the diverse activities they support are significant both at a local and national level,” Mr Snow said. “However, the existing connections and interactions between them are currently weak. He said the outcome would be an internationally recognised precinct that showcased Australia’s national identity. National Museum Director Mathew Trinca agreed that connections with the city centre and access to the precinct generally could be improved, noting this would provide relief during blockbuster exhibitions and major events, when parking had at times presented an issue. He was more positive about the peninsula’s current status than Mr Snow, though. 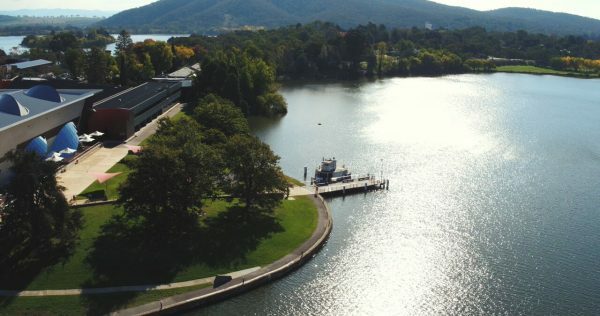 “We’ve known for a long time that the National Museum and indeed our great colleagues at the Australian National Institute of Aboriginal and Torres Strait Islander Studies [have known], that we jointly sit on Canberra’s best site,” Dr Trinca said. Community consultation on the Acton Peninsula Precinct Draft Structure Plan will be open for six weeks, ending at midnight on Tuesday, June 13. Public information drop-in sessions with NCA planning staff will be held from 11am to 2pm on Thursday, May 18, Saturday, May 20 and Tuesday, May 23 at the National Museum of Australia. The draft plan and information about how to provide feedback is available on the NCA’s website at www.nationalcapital.gov.au. Given it will take some months for feedback to be considered by all parties before they collaborate on a final plan, there is currently no date for the commencement of development. See below for our earlier Facebook LIVE coverage as representatives of the peninsula’s key institutions unveiled the plan this morning. Dr Trinca and Mr Snow were joined by AIATSIS Acting Chief Executive Officer Craig Ritchie, ANU Executive Director of Administration and Planning Chris Grange and City to the Lake Director with the ACT Government Nicholas Holt.